I grew up a map fiend. No, this is not a statement of my spiritual status, but instead a proclamation of an abiding interest in maps. 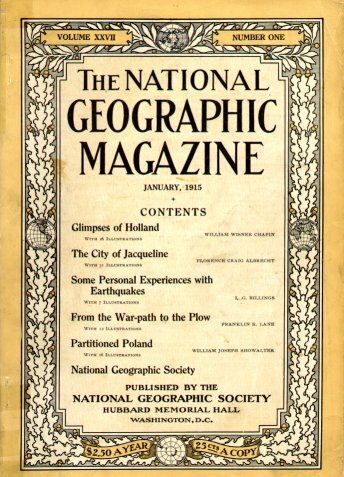 When I was a kid, we got many maps through National Geographic Magazine, which tended to include one about every other monthly issue or so. I pored over those maps and practically memorized the explanatory notes that came on them. As I’ve mentioned elsewhere, it was a note about the legal status of the Baltic countries of Estonia, Latvia and Lithuania that ultimately led me to taking a vacation there over a decade ago. And then I added almanacs to my map study. To those who don’t know them, American almanacs in my youth were these thick volumes running hundreds of pages, packed full of information. Much of this was general-purpose reference information, covering everything from copies of the Constitution to a list of all the times major league baseball franchises had moved (a much shorter list in those days). And then there was the section on the nations of the world, with accompanying color inserts of all their flags and maps of each continent. So I kept current with political developments, which led to one of the more amusing quirks of my childhood. I would examine maps and globes, and proudly announce how many “mistakes” they had, because they were out of date. People remember me for this. I also took over reading road maps and providing navigation for our family when we went on vacations. My mother couldn’t read a map. My father would often wait until the last moment to give my mother directions, which would cause her to make the wrong turn. So I took over. It became an excellent experience in developing patience and planning skills. Not only did I have to mark out a route, I had to adjust it if my mother should happen to make a wrong turn despite my directions. 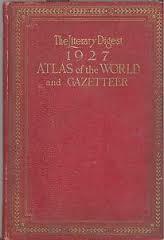 Not long after that began, my father let me use his copy of The Literary Digest 1927 ATLAS of the WORLD and GAZETTEER. Colonial empires, territories and boundaries subject to plebiscites, vanished kingdoms, mysterious vassal states, names that had changed for one reason or other . . . oh, I was in seventh heaven, let me tell you. I had so many, many questions that required trips to our (outdated) encyclopedia, not to mention bedeviling the staff of the public library in town. So my study of maps grew from geography to history. Well, I grew up, and my appreciation of maps grew with me. And they could still set off all sorts of questions, and sometimes interesting quests that ran far from the library (or these days the Internet). For example, back in 1987, eastern Massachusetts was divided into two area codes for phone numbers. To explain this, the phone company put out a map, overlaying the area code boundaries with the municipal boundaries within the state. I took a look at that map, and realized that although I had lived almost my entire life in Massachusetts, there were still many towns I’d never set foot in. 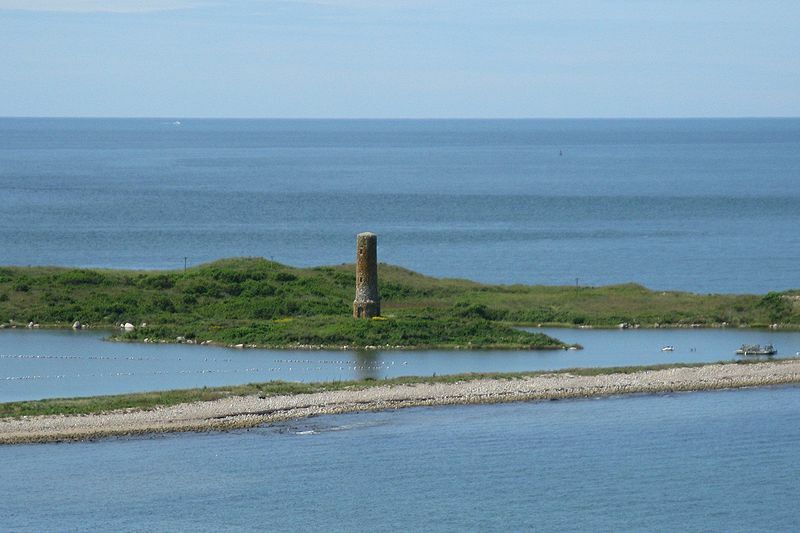 This is the Gosnold Monument on Cuttyhunk. It’s on an island, so you can’t walk up to it. I guess visitors are just supposed to admire it from afar. So I decided to embark on a quest to visit every single city and town in the state. There are 351 of them. I had to make rules. Traveling through on a superhighway didn’t count. If possible, I had to find the town/city center, which for some towns is a challenge. That’s why I bought street maps of every municipality in the state, to find my way through and between towns, especially towns without state highways. (Yeah, today people would use GPS.) Complicating matters, several towns are on islands. So it took me until 1994 to finish, which I did by taking a ferry to the island of Cuttyhunk, part of the town of Gosnold. My girlfriend, then and now, was with me on that trip. She’s quite proud of helping me finish the set. And she allowed me to talk her into that Baltic trip, another result of my map fascination. What can I say? Nerds of a feather. 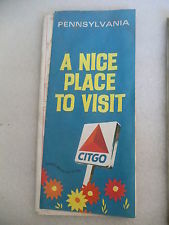 This entry was posted in History and tagged Baltic states, Cuttyhunk, History, Literary Digest, map, maps, memoir, National Geographic, Reminiscence, Travel. Bookmark the permalink. I (almost) dare not add my comment after that from Ms Barnes. But I will say: Snap. & Snap. & Snap. Me, too, a map freak – which you might have noticed. I was taught ‘proper’ map-reading by my father (who taught the local army cadets, being then retired from the ‘Regulars’ but still active in the T.A.) I, too, was the navigator. I remember a family holiday in Somerset. My father was army-trained to drive thus used to convoys, and wasn’t too happy at the notorious London North Circular and other traffic-traps, and the journey would be on the worst possible day, a Bank Holiday Saturday. So he set me the task of finding him a ‘cross-country route.’ I’ve been obsessed by maps ever since. I have a Philips 1933 atlas picked up for 50p in a charity shop. I have gazetteers of the UK. My brother, once, on a visit, spied said tome. “But you don’t drive!” He thought it hilarious. Yea, the love of maps; it is an obsession. I’m glad I’m not alone in it. My parents were also allergic to heavy traffic, in my father’s case because he first started driving in a rural community in the 1920s. So I know where the “cross-country route” requirement comes from! My most recent map treat is that the USGS (our Ordnance Survey equivalent) created a site that allows you to overlay past maps with present ones, and set the transparency on the overlaid maps so you can see both at the same time if you want. On the other hand, for all I like and use them, I became a bit disenchanted with Google Maps when I realized they were deleting roads that provide unsupervised U.S.-Canada border crossings, which ironically are still easily visible on Google satellite photographs. Google is useful, especially for ‘foreign’ countries; I used it extensively for the Gernegan posts (until I found O/S equivalent at Amazon). What annoys me with Google is, even when you switch to ‘Terrain’ you still don’t get a very good idea of the terrain. Maybe it’s being used to O/S with its contours. I find it very easy to visualise the lay of the land. That’s one thing that frustrates me when drawing maps; I’m still seeking a way to at least hint at terrain. We all know a line of triangles stands for a mountain chain, but it’s otherwise naff at showing how it looks on foot. Okay, I suppose to some degree it’s laziness, not wanting to draw in the contours, and with the software I use it wouldn’t be too difficult. Regards old map, BHOL has most (not all) of the earliest Ordinance Survey maps for UK. Some date back to 1850s. But better than that, I have on DVD a copy of the first ever comprehensive map of Norfolk with all kinds of typographical features, all in glossy colour. It was financed by the landed gentry who paid to have their country seats included. Those who refused to pay up were given short measure with no more than boundaries shown. Another gem (unfortunately I no longer have); in similar situation as the deleted border crossings, during WWII & for some time after, OS maps didn’t show details of the army’s many training areas. But my father had the maps. They were marked with battalion formations etc from their training battles. He gave them to me when I first showed interest (I’ve no idea what happened to them). There were three; 2 covering parts of Norfolk (Brecklands) and one covering Dartmoor. Collectors’ pieces now, wherever they are. The terrain option seems to have disappeared from Google maps when accessed from the U.S.; at least it is no longer as prominently displayed. It did used to show contours in the U.S. Though I’d not worry too much about not being able to show contours. Contours give a map a distinctly modern feel, which I think would be inappropriate for some of your maps. The Norfolk map sounds like a real gem. What’s the date for it? It’s a map by William Faden, 1750-1836 (apparently he also produced some of North America), The Norfolk map is important for being just before the Parliamentary Enclosure, so all the commons are marked, and the big parish fields. The survey was between 1790 & 1795, the map was published 1797. The DVD I have was produced as a study aid. In addition to a scan of the original, there are also layers for various features, e.g Mills, Country Houses, Commons, Bridges, etc. Wiki has an article on Faden (http://en.wikipedia.org/wiki/William_Faden ), but http://www.fadensmapofnorfolk.co.uk/ gets you details of the Norfolk map. Argh! It will show me the map piecemeal, but not put it up as a whole. Though that would probably be a rather absurd number of MB. Another confirmed cartophile here too!! (Hey, I did look it up!!) I’ve always loved the charm of old maps with their highly interesting nautical symbols and dedication cartouches. When doing cards on some of the Florida lighthouses I like to decorate the back of the cards with old maps of the region where the lighthouse sat or sits. So, I became quite interested in the maps and the cartographers themselves. The two I encountered most for Florida in the latter 1700s were Bernard Romans and Capt Joseph Smith Speer. Romans labeled Cape Florida as Fools’ Cape,,,and I am pretty certain after digging around, it was because he lost his boat and worldy good in the shallows there. It was definitely an art form as well as science…and to think, no GPS or Satellite view…instead reading the stars and doing manual soundings for depth with rope and weights. Sounds like romantic exploration but I am sure the enterprise featured a certain tedium with the challenging elements. I’ve often meant to read Pynchon’s “Mason & Dixon,” his post-modernist take on the surveyors of the famous Pennsylvania-Maryland border. No doubt the book would make it sound both better and worse than it was. Back about a decade ago, someone put out a book showing county boundaries by state at the ten-year intervals of the U.S. Census, as a guide to historians trying to analyze census records. (The issue is that county boundaries and names often change, making it difficult to compare data from different censuses.) Apparently, in the late 19th century, the Florida legislature was playing around with county boundaries, and created an impossible set of boundaries near the center of the state. They were not the only state to do something like that, though. Michigan’s legislature misunderstood the geography of the Upper Peninsula, and also defined impossible county boundaries. And Georgia, Texas, and Utah all at one time or other defined counties that turned out not to be within their boundaries. Interesting post. Thanks for liking my interview with Mike. And thanks for the return visit. It’s always nice to see a fresh face. And another writer. On the topic of this post, I’m such a sucker for maps that I read Michael Stackpole’s “A Secret Atlas” on the strength of the title and back cover blurb.